New Brunswick, Canada’s Matt Andersen has a larger than life showmanship that has been earning him a fervent and steadfast audience wherever he graces the stage. Matt’s sprawling blues, roots and rock musical hybrid with his sorrowing and soulful voice and astonishing guitar-playing has sparked a phenomenal buzz on Canada’s East Coast and that grass roots word of mouth cannot be contained any longer! Matt has just finished his fourth successful UK Tour along with airplay on the BBC and in various prominent blues and roots publications. Matt’s hectic touring schedule includes over 200 live dates a year that encompass North America and the rest of the world. In Dec. 2009, Matt performed on the CBC Vinyl Cafe tour that is hosted by Stuart Mclean and included major centers between Ottawa and Victoria to capacity crowds. The Vinyl Cafe is a radio variety show on CBC radio, BBC radio 7 and U.S. public radio stations. On Jan 24, 2010 Matt won the 26th edition of the 2010 International Blues Challenge (IBC) in the birthplace of Rock N’ Roll and home of the blues, Memphis, TN. 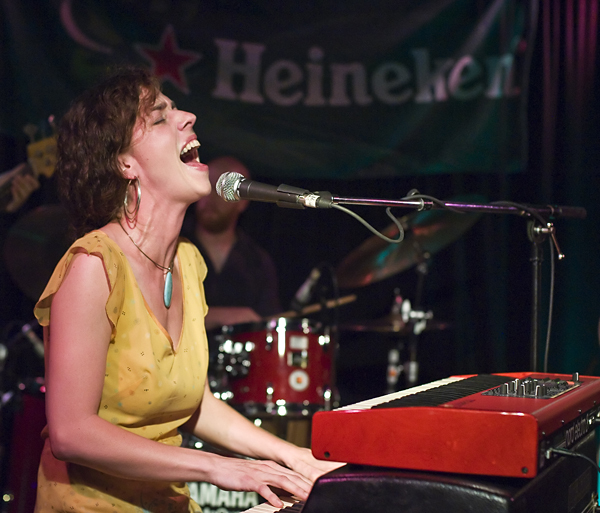 Matt was sponsored for this event by the Harvest Jazz & Blues Festival in Fredericton, NB in the solo/duo category. Blues musicians from all over the world including 39 states, 12 countries and 5 continents were chosen by their respected Blues societies to compete in venues on the world-famous Beale Street. As the big winner, Matt opens the door to the U.S. market and the larger world stage! Some of the prizes Matt won include: cash, 1st place International Blues plaque, large profile American festival gigs, festivals in France, Italy and a slot on the Legendary Rhythm and Blues Cruises. Matt is the 1st Canadian ever to Win the IBC in it’s 26 years of inception. For more information on the IBC go to http://www.blues.org. 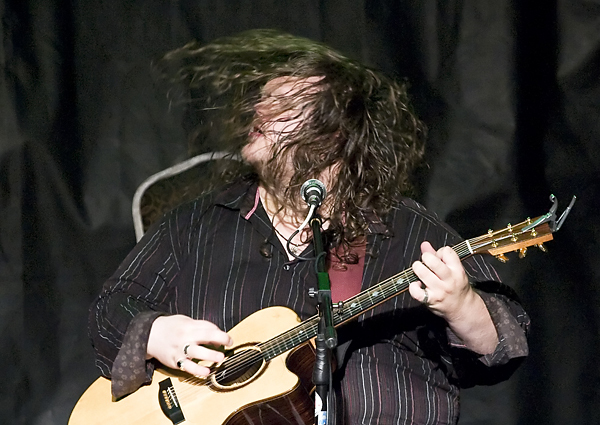 WJB is proud to announce that Atlantic Canada’s own Matt Andersen will be performing at the 2010 Wreckhouse International Jazz & Blues Festival. 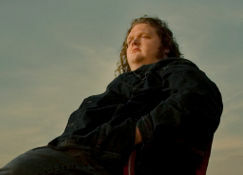 New Brunswick’s Matt Andersen is big in every sense of the word. Aside from his stature, he has a big voice, a big talent as a guitar player, a big fan base, but nothing compares to his BIG stage presence. 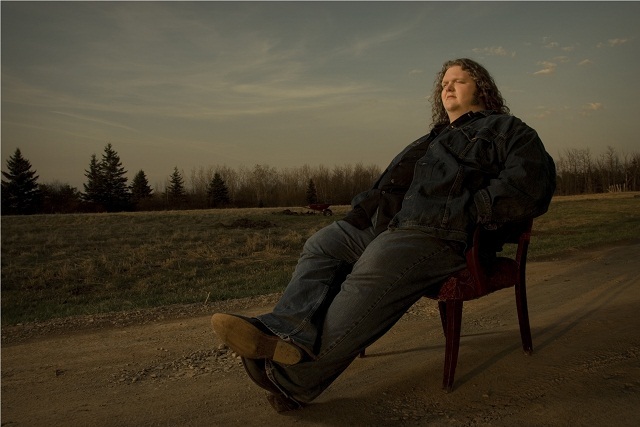 Since the start of his music career in 2002, performing primarily covers with the New Brunswick band, FLAT TOP, Matt Andersen has moved on to writing his own material which has set his solo career soaring. With a growing number of accomplishments under his belt, Matt’s biggest success is his most recent; on January 24, 2010 he became the first Canadian to win the 26th edition of the 2010 International Blues Challenge (IBC) in the solo/duo category. Matt’s music style is his own unique blend of roots, blues, and rock which has listeners wanting more everywhere he travels. With his constant increasing fan base, Matt can’t keep himself rooted long at all with a hectic touring schedule with over 200 live dates spanning across the globe, so be sure to check him out at this year’s Wreckhouse International Jazz and Blues festival.